We introduce ourselves as the leading manufacturer and supplier of precision-designed Hydraulic Engine Dynamometer. 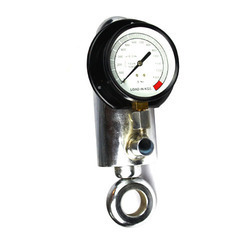 We are leading manufacturer and supplier of Hydraulic Dynamometer to our valuable clients. Our reputed entity is engaged in supplying Hydraulic Hand Dynamometer. 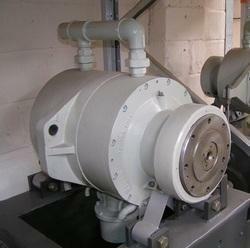 Up to 2100 KW Pressure ControlType, Sluice GateType, Rope Brake TypeWith Calibration Kit. Hydraulic Push pull dynamometers Analog (dial) readout or digital readout with push pad analog readout with pull hook. Comes with accessory pack: 3 push pads (padded curved padded straight and 1cmxcm circular) 1 pull hook and 1 snap lock hook. Cushioned carrying case. Maximum remains until rest. This is light weight measuring Instrument used for measuring load/tension. The instrument is available from 1 ton to 20 Ton range in both direct reading type dial & digital versions to the accuracy of + - 1%. It is totally sealed unit with swivel hook at the one end & a fixed hook at the other, The Instrument is supplied in a steel carrying case.